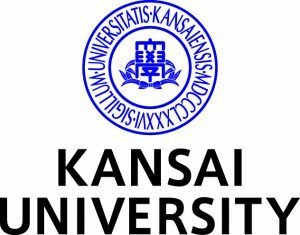 Kansai University is a dynamic city university in Osaka, in the second largest metropolitan area of Japan, and one of the four leading private universities in West Japan. 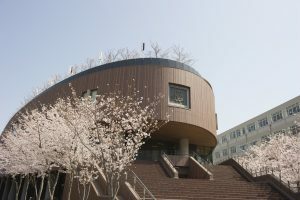 Kansai University has over 30, 000 students in 13 undergraduate, 13 postgraduate faculties and 3 professional graduate schools, further more Japanese Language and Culture Program preparatory school since 2012, and it offers a wide range of academic subjects covering the humanities, social sciences, natural sciences, technical and health sciences. Kansai University, started 1886 as Kansai Law School in the middle of the economic center of Osaka city, and maintains as its founding principle the practical adaption of academic knowledge to social realities. Kansai University is internationally oriented and is strengthening its position as a global network institution. This includes 164 university-wide international partnerships and five overseas offices. The Kansai University Japan-EU Research Center was established in 2006 at the University of Leuven, Kansai University‘s longtime partner institution in Europe as commemoration of the 120th anniversary of Kansai University. In the first decade the Center held a “Japan Week”, a cultural and educational event in which not only students and faculty members of the both universities but also citizens of Leuven could participate. Its mission is now turning to the role of European Liaison office especially for joint research between Kansai University and the University of Leuven. This Center aims also to strengthen the partnership of Kansai University with EU and support the organization of international conferences and symposia at the Leuven University. Support joint research and academic exchange between Kansai University and Universities in Europe. Promote research in Japan and European communities. The role of liaison office for exchange researchers and students in Japan and Europe. Promote mutual exchange between Japan and Europe.